PKC pioneered the concept of Social Architecture. Our clients that have introduced this groundbreaking concept into their dining programs report a significant increase in student success and the entire student experience. 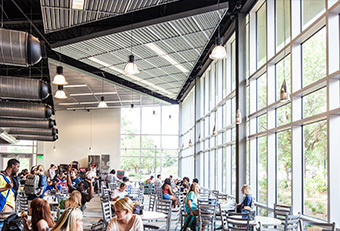 PKC’s state-of-the-art approach to 24/7 Dining has allowed hundreds of campuses to grow meal plan participation and housing occupancy and to increase retention and recruitment rates. PKC’s innovative and customer-friendly meal plan programs add significant value to campuses’ dining programs and encourage students to eat and live on campus where they make critical social connections. PKC’s experienced team of foodservice professionals is regularly on college campuses across North America every week where we talk face-to-face with students to find out what is important to them when they eat on and off campus. As a result, we bring a tremendous amount of experience and knowledge to all of our clients including those in the higher education market. PKC’s unique operator selection services has helped college administrators across North America create value-added dining programs, save millions on dining and stop letting foodservice contractors eat their lunch. PKC’s design studio has designed modern and contemporary residential and retail dining venues that have received national recognition as best in class. Over the past 24 years, PKC’s team of seasoned professionals has completed a wide variety of strategic plans, renovations and other exciting projects in various market segments including higher education, healthcare, business and industry and the military. 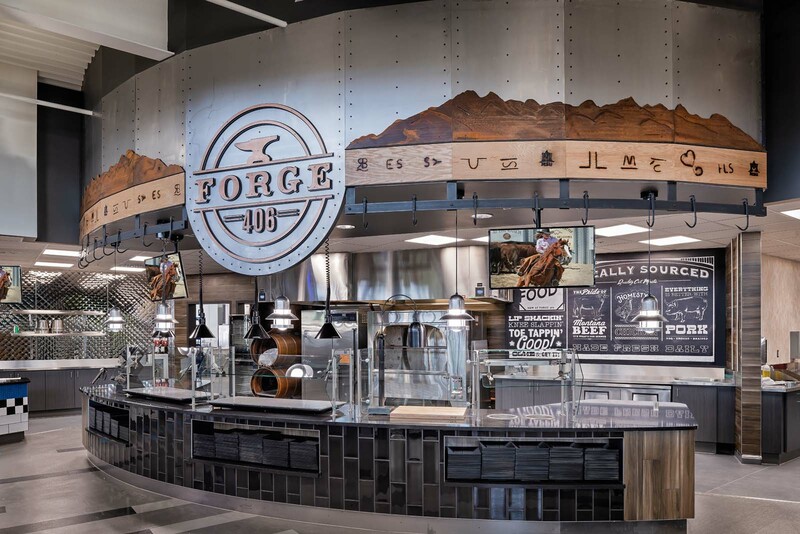 With a focus on colleges and universities, we’ve designed innovative dining programs and/or designed modern and contemporary residential and retail dining facilities on more than 400 college and university campuses in all 50 states, the provinces of Canada and the U.S. Virgin Islands. Our commitment and discipline to immersing our senior principals and entire team in our clients’ on- and off-campus communities in order to fully learn and comprehend what is culturally, philosophically and geographically unique about their students and campuses produces bold, innovative and ground-breaking solutions for our clients. OUR TEAM IS READY TO ASSIST YOU TODAY! Please click the link below and provide details in the form and we’ll get in touch with you within 24 hours. Our experienced team has completed a wide variety of strategic planning projects, comprehensive campus-wide master plans, design projects and operator selection services for colleges and universities across North America. The following are three examples of our successful projects. 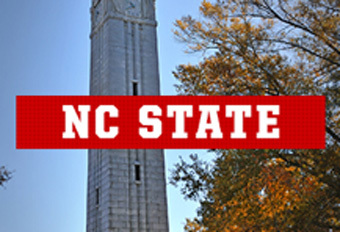 PKC was hired by North Carolina State University (NC State) in May 2017 to conduct a comprehensive assessment and evaluation of the University’s self-operated dining services versus potential contract dining services options. As North America’s leading firm for college and university competitive request for proposal development, dining services rebidding and contract negotiations, PKC was uniquely qualified to compare a self-operated program with the more than 50 foodservice management contracts that PKC has negotiated over the past 10+ years with the likes of Sodexo, Aramark, Chartwells, etc. In Fall 2016, PKC was hired by the University of Houston (UH) to complete a comprehensive campus-wide dining services master plan for the University’s main campus (approximately 43,000 students including 6,000 residential students). The campus dining program is expansive with two large residential dining venues, more than 15 nationally-branded and self-branded retail dining venues scattered across the expansive campus (and in the very busy University Center and Satellite Center) and in academic buildings. The University was struggling with meal plan participation, customer satisfaction, long lines at peak serving times and other challenges that are often inherent with large college dining programs. PKC created a five-year campus-wide dining services master plan for the University in order to identify the dining program’s strengths, challenges, and opportunities for the future, especially with the planned growth of both residential and commuter students. Our team completed student focus groups and stakeholder interviews and analyzed the data gathered through a customized survey. We used all of the information gathered combined with our industry experience to create a student-focused, value-added dining program to support the goals and missions of the University. The PKC Design Studio also completely redesigned Miller Dining Hall into a contemporary and inviting Anytime Dining/Student Engagement Commons. PKC offers a wide variety of planning, operator selection and design services. Master planning is an analytical and creative activity that results in a coordinated set of decisions about actions to be taken to accomplish stated goals. Research has shown that the master planning process can yield meaningful benefits to higher education dining organizations that take the time to develop these strategic road maps. Our firm has created comprehensive master plans for dining and auxiliary service departments on college campuses, hospitals and medical centers, business and industry organizations and more. 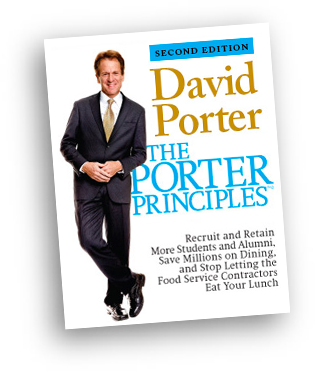 Over the years, we have found that many campus administrators consistently undervalue their foodservice contracts and enter into agreements that leave significant program opportunities and capital investment dollars on the table. PKC will work as your independent agent to facilitate a proven competitive bid process and negotiate on your behalf in order to secure a new foodservice contract based on the optimum, next generation dining program. Through our proven process, we’ve significantly improved and expanded the student dining experience while profoundly increasing the financial return for our clients. We can provide clients, architects and other planning partners with creative and contemporary, yet functional Server, dining room and kitchen designs that appeal to a wide variety of customers. Our design team is led by PKC Senior Vice President Albin Khouw who has more than 35 years of foodservice design experience. PKC utilizes the REVIT Building Design Suite that combines Building Information Modeling (BIM) and CAD tools to help us design, visualize, and simulate our clients’ projects more efficiently.